A scintillating weekend of action saw Exhale Bloodstock enjoy a number of fine results. First up, Champagne Room finished third in the Del Mar Debutante. 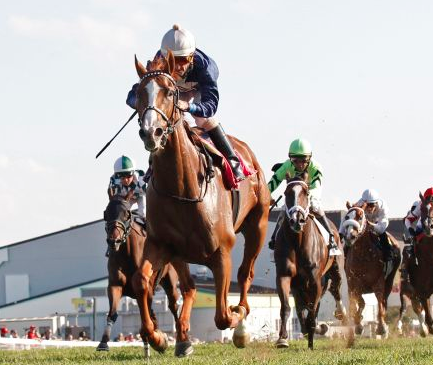 “Secret Someone’s stake win capped off a glorious weekend for Mt Brilliant Farm. #976 is a 3/4 brother by Malibu Moon selling in Keeneland. Hartnell won a G2 in Australia and Greg and Hutton Goodman also have a half brother to him – #289 by Frankel, which is the only Frankel colt in the sale. And they had their first foal born on Australian soil when G1 placed mare Darsi’s Dream foaled a smashing Shooting to Win colt at Coolmore.